Resource-based theory (RBT) is one of the most popular paradigms in operations management. Lean Six Sigma (LSS) is the most widely used business improvement initiative for the last two decades. The previous LSS frameworks were concentrated on the LSS processes, and none of them proposed a link between organizational strategy, organizational resources and capabilities for gaining competitive advantage. The purpose of this chapter is to construct an RBT-based LSS framework. By reviewing the previous literature on RBT, LSS and organizational strategy, this chapter builds an implementation framework. This framework considers the firm resources, firm capability, competitive advantage, and LSS integration as the foundation of a firm's strategy. The research suggests that application of RBT can add richness to LSS implementation within an organization, which will bring practical implications for forming the resource-based strategy in the organizations leading to competitive advantage. This is the first chapter to suggest an integration framework of RBT with LSS for strategy implications. Resource-based Theory (RBT) is a popular paradigm in strategy management, however, its popularity has also increased in Operations Management(Grant, 1999; Hitt, Xu, et al., 2016). The fundamental proposition in RBT is that firms try to differentiate from its rival to attain a competitive advantage. Thus, a firm can differentiate from its rivals by making the best use of its resources and capabilities to gain competitive advantage. Lean Six Sigma (LSS) is one of the most widely used methodology which relies on the collaborative efforts of group of people and between people and resources in the organizations to improve the organizations performance by systematically reducing waste and variations(Naslund, 2008; Asefeso, 2014; de Freitas et al., 2017; Laureani and Antony, 2017). Many researchers have devoted considerable attention to testing LSS implementation models(Kumar et al., 2006; Hilton and Sohal, 2012; Karunakaran, 2016; Hill et al., 2018). Previous studies on LSS frameworks were basically case studies. 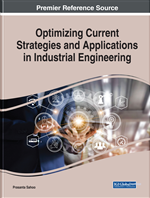 The case studies of LSS frameworks primarily concentrated on auto industry(Kumar et al., 2006; Vinodh et al., 2011), electronics(Chen and Lyu, 2009), manufacturing(Gnanaraj et al., 2012; Vinodh et al., 2014), Aero maintenance(Thomas et al., 2015; Karunakaran, 2016), Maintenance Repair and Overhaul (Hill et al., 2018) etc. These industry-specific LSS frameworks were concentrated on LSS processes, and none of them proposed a link between organizational strategy and organizational resources and capabilities for the implementation of LSS. Besides, the previous LSS frameworks were also specific to the industry suggesting various practices to implement LSS. However, organizations still need to identify and or/ acquire resources which are needed in its portfolio for developing capabilities for implementing these practices in an effective manner(Hitt, Xu, et al., 2016). These capabilities may be acquired in a different manner depending on the strategy employed by the organizations(Hitt, Carnes, et al., 2016). To cite an example organization who aspire to be a market leader will deploy LSS strategy successfully in product or service R & D and another organization who wants to extract more out of manufacturing process will deploy LSS into manufacturing processes. The firm’s resources and capabilities in these organizations are therefore likely to be different depending on the organization strategy(Grant, 1999) even though they are deploying LSS. If LSS or TQM is implemented in isolation without linking to organization strategy, they may attain operational effectiveness but may be insufficient to achieve a competitive advantage. The organizations have to coordinate across all of their activities to produce superior value to the customers and achieve competitive advantage(Porter, 1996; Hitt, Carnes, et al., 2016). An important point to consider is the imitation of LSS specific practices or capabilities may be easily carried out by the rivals. However, what will be difficult to imitate by the rivals will be when the activities are coordinated or synchronized in a strategic manner. When these capabilities are coordinated it means rivals have to imitate a series of capabilities which are needed to perform the practices, opposed to specific practices(Peteraf, 1993). Thus, there is a need for an LSS framework which will link organizational strategy and organizational resources and capabilities for its implementation. Recently, there has been a resurgence of interest in operations management. Hitt et al., (2016) in the Journal of Operations Management highlighted the importance of RBT in Operations Management and further explicated applying RBT to all operation strategy for gaining deep understanding from these perspectives. There has been no research done yet on RBT integration during the implementation of LSS. Thus, in this study, we intend to ask the research question on 1) How to integrate RBT while implementing LSS for gaining a competitive advantage? 2) How should future research proceed given our findings? The integrative review method is the only approach that allows for the combination of varied methodologies (for example, experimental and non-experimental research), and has the potential to play a greater role in evidence-based studies(Whittemore and Knafl, 2005). An integrative literature review summarizes the past literature and draws an overall conclusion from the body of literature on the said topic(Beyea and Nicoll, 1998). LSS and RBT being a matured topic and as our purpose was to summarize the previous studies and build a framework to integrate RBT with LSS methodologies. Therefore, an integrative literature review is conducted as the topic under consideration. The chapter is organized as follows the next section in this chapter elucidates the background theory, which will be followed by the methodology and therefore the proposed RBT based LSS framework, discussion, conclusion, and scope for future research.